Here is my submission to this week's Less Is More challenge of Metallic. Regular readers of my blog will know that I don't use much silver or gold in my cards and although I own a ton of metal charms I rarely use them so this was a bit of a challenge for me! For my card I have used a metal word that I have had in my stash for years and years. I think it was free from a magazine. I have made a card blank from SU! Marina Mist CS and added the word to the bottom corner. I have then stamped the 'Birthday' above it and punched out small circles of SU! Bashful Blue CS and added them around the words. Simple as that, I do like it though! 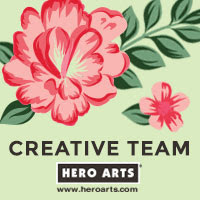 STAMPS: Hero Arts. INK: Memento Tuxedo Black. CS: Stampin Up! TOOLS: Hole Punch. EMBELLISHMENTS: from stash. Thanks for visiting today, horrible weather we have had down in the south. It will probably be sunny tomorrow whilst I am at work! 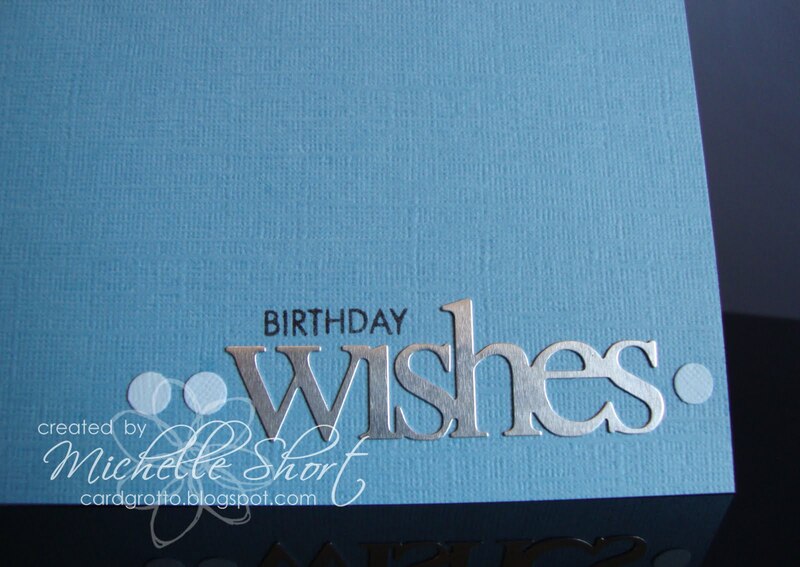 Excellent card, I'm still struggling to find my metallic inspiration for this challenge, but you've nailed it! Great masculine card too! This is fabulous - I love the simplicity of it. You have made a terrific card around that great 'wishes' word. 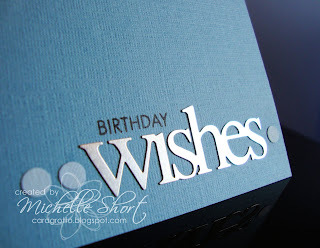 A gorgeous card, love those bold letters. Really lovely fresh and simple design. I think I still have some of those metal words from a magazine in my stash too! Very classy card, great colours. Simple but oh so stylish. 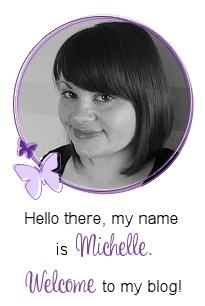 Love it, Michelle. 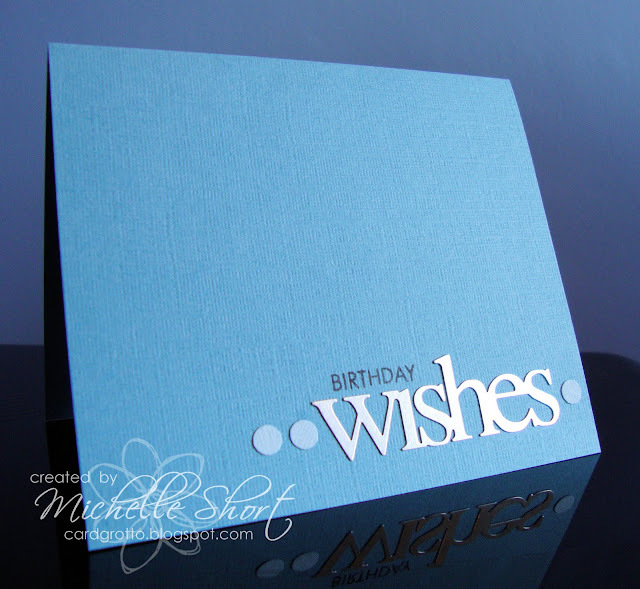 Love it, so simple and elegant, what a fab freebie that Embellie was! !